We offer a comprehensive array of ophthalmic and optometric services, from eye exams, eyeglasses and contact lenses to complicated corrective vision surgical procedures, such as LASIK and Laser Vision Correction. Our prominent eye care team, made up of two board-certified ophthalmologists, an optometrist, and an optician, has the experience necessary to provide the best possible treatment for your unique eye care needs. In fact, our optician is one of only a few board-certified opticians in central Pennsylvania. We provide a full range of advanced technology for diagnostic testing and treatments, ensuring you the most up-to-date treatment possible. All advanced surgical procedures are conducted right here at our comfortable and convenient location. Our surgical center is equipped with advanced technology for all surgical needs. With this advanced equipment, patients can benefit from laser surgery or laser assisted cataract surgery. Not only do our state-of-the-art facilities and experienced staff provide you with exceptional medical care, but we also place a high priority on ensuring you receive the personalized care you deserve. Our knowledgeable doctors and friendly staff will gladly take the time to answer any questions you may have to ensure you fully understand your condition and treatment. Stoken Wagner Ophthalmic Associates strives to make our patients feel at-home and comfortable! As people age, the normally crystal clear natural lens of their eye can become cloudy, forming a cataract. Laser Assisted Cataract Surgery can correct this condition and is safe, effective and quite common.  When it comes to laser vision correction, Stoken Wagner is one of the most experienced practices in Central Pennsylvania. All Laser LASIK is the biggest advancement in Laser Vision Correction since LASIK was introduced a decade ago. Macular Degeneration is a disease that over time destroys the part of the eye that uses Central Vision. Designed to view objects more clearly, Central Vision is essential to daily tasks such as reading and driving. Drew J. Stoken, M.D., is a board-certified ophthalmologist (physician and surgeon) specializing in the medical, surgical and optical care of the eyes. He received his M.D. from Philadelphia’s Hahnemann University in 1983, and in 1987, completed his internship and residency at St. Francis Medical Center in Pittsburgh. 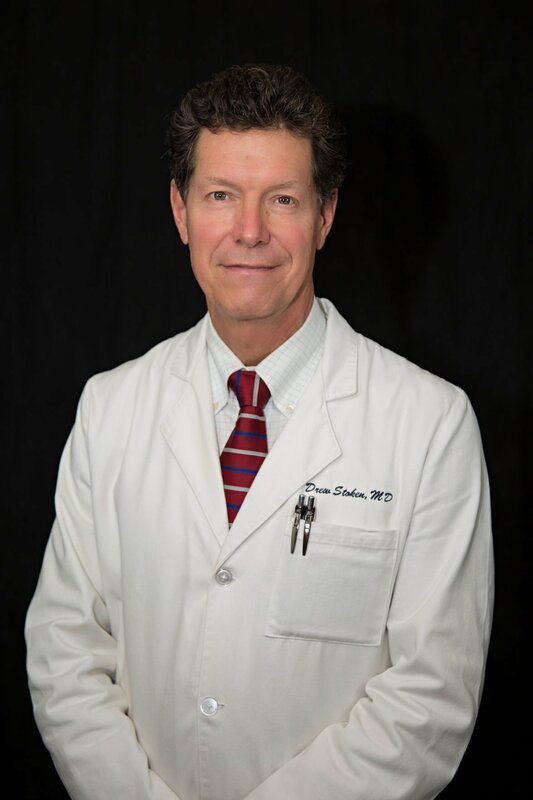 Dr. Stoken continues to advance his knowledge by taking medical education courses each year. Dr. Stoken is also a Clinical Assistant Professor of Ophthalmology at Penn State Geisinger and is board-certified by the American Board of Ophthalmology. He is the former President of The Pennsylvania Academy of Ophthalmology. Dr. Stoken is also a member of The Pennsylvania Medical Society, The American Society of Cataract & Refractive Surgeons, as well as other medical organizations. Additionally, he is a Fellow in the American College of Surgeons. In order to provide much needed eye care, Dr. Stoken has traveled on missions to India, Tonga, Croatia and Ecuador. He currently resides in the Carlisle area with his wife and two adult children. Melvin E. Wagner, M.D. is a board-certified ophthalmologist specializing in cataract, cornea, and refractive surgery. He joined Stoken Ophthalmology after serving for 17 years on Active Duty in the U.S. Army and was promoted to the rank of Lieutenant Colonel. Dr. Wagner completed subspecialty fellowship training in Cornea, External Disease, and Refractive Surgery at the Wilmer Eye Institute of Johns Hopkins Hospital in Baltimore, MD in 2006. Prior to his work at Johns Hopkins, he completed his Ophthalmology residency and served as Chief Resident at Walter Reed Army Medical Center in Washington, DC. 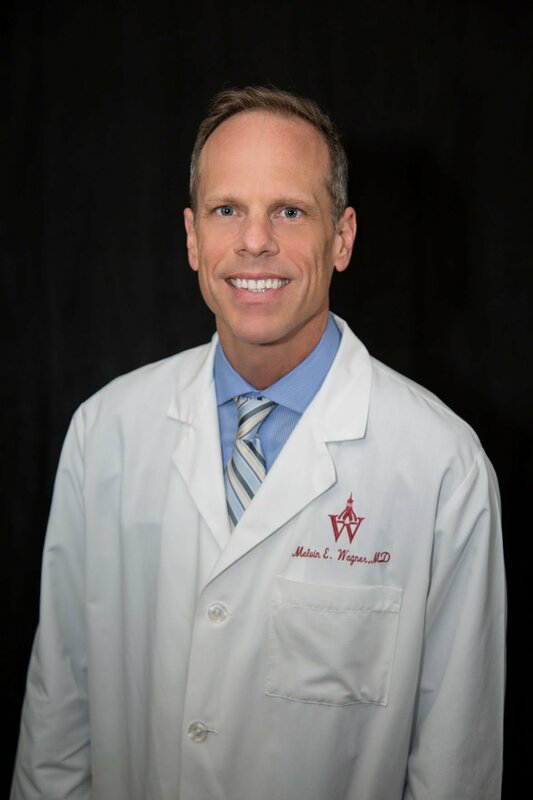 Dr. Wagner obtained his medical degree from the Uniformed Services University of the Health Sciences in Bethesda, MD in 2001, graduating with honors and being inducted into the Alpha Omega Alpha medical honor society. He received his B.A. in Chemistry from Franklin & Marshall College in Lancaster, PA, as well as a Master’s Degree in Chemistry from the University of Florida in Gainesville, FL. While in the Army, Dr. Wagner practiced as a cornea specialist and refractive surgeon at Walter Reed National Military Medical Center in Bethesda, MD, and he was the Chief of Ophthalmology and Chief of Surgery at Ft. Meade, MD. His areas of interest include cataract and refractive surgery (LASIK, implantable contact lens, lens exchange procedures), cornea transplants, micro-invasive glaucoma surgery, dry eye treatments, and a multitude of laser eye surgeries. He also practices comprehensive ophthalmology to include complete routine and screening eye exams, in addition to the diagnosis and treatment of glaucoma, diabetic retinopathy, and macular degeneration. As a member of several eye surgical teams, Dr. Wagner has deployed to Burkina Faso, Africa, Honduras, and the Dominican Republic to perform life-changing cataract surgeries on blind patients from the host nations. Dr. Wagner is an active member of the American Academy of Ophthalmology, American Society of Cataract and Refractive Surgery, Pennsylvania Academy of Ophthalmology, and the Pennsylvania Medical Society. Dr. Wagner has lived most of his life in south-central Pennsylvania and looks forward to providing compassionate eye care and state-of-the-art eye surgery to the residents in the Carlisle area for many years to come.